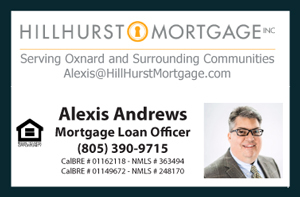 I have recently completed a successful short sale transaction in Santa Paula, California. Listing courtesy of Coldwell Banker Residential. I am happy to see my client own his first home. This property was SOLD for $330,000. My client Mr Gomez, the buyer, was happy to have purchased this property $20,000 below market value. The property was appraised at $350,000 and the bank accepted $330,000- but my client had to be very patient. The total amount of time to process the short sale from the day we submitted an offer to the day we closed escrow was a full 4 months. However, compared to several years ago, the process was much quicker. In the past it would take a year to process a short sale if not more. A Short Sale transaction is when the Bank accepts less money for the home than what is owed. For the most part, everyone seeks a wining strategy! A short sale is usually a viable option when the owners of the home are under distress and can no longer keep up with the property. Under this type of deal, all parties involve seek out a win-win solution; a win for the seller because they avoid foreclosure and are forgiven the debt, a win for the buyer whom has the opportunity to acquire a property at a discounted price and a win for the bank because they avoid a costly foreclosure process. Finally, a win for the local community that no longer has to deal with an empty house in the neighborhood. Empty houses create problems for the local neighborhoods. The property is located at 1434 Mariposa Dr. in the city of Santa Paula, County of Ventura, California. The property features 3 Bedrooms and 2 Baths with 1159 Square Feet of living space. The house was empty and a huge branch from the sycamore tree in the backyard was hanging over the roof. My client's wife demanded it be chopped off before closing escrow. It was a deal breaker. I made sure my tree specialist could handle it. I also checked with the city to make sure such a task was allowed. I certainly made sure the tree was trimmed properly or else we had no deal. This unique town is located between the city of Ventura and Fillmore off Highway 126. Santa Paula is surrounded by mountains and citrus orchards. Santa Paula is one of the few cities that is not as urbanized, making it a very unique city within the County of Ventura.